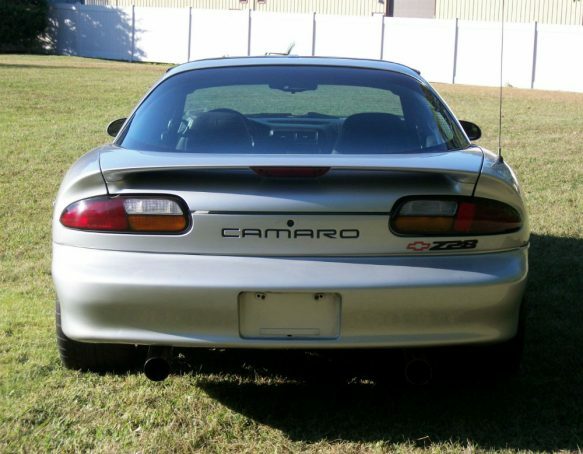 Home » 1993 - 2002 Camaros » 1997 Chevy Z28 Camaro with a 383 LT1 Golen Engine, 4.10 Posi Rear, Gray Leather, Over 20K Invested, Clean & Fast. 1997 Chevy Z28 Camaro with a 383 LT1 Golen Engine, 4.10 Posi Rear, Gray Leather, Over 20K Invested, Clean & Fast. This ad has been favorited 1397 time(s). The engine is a full roller 383 Stroker LT1 built by Golen Engine Service in New Hampshire. You can find out the specs of the short block on their website. It has Trick Flow Aluminum Heads on it, Trick Flow 58mm Throttle Body, Trick Flow Lifters, Scorpion 1.6 Roller Rockers, and a hydraulic roller cam by Comp Cams. The cam specs are 280/288 Duration, and 576/570 Lift. There are Canton Fabricated Aluminum Valve Covers on it, a K&N Cold Air Intake System, and a Granatelli Electric Fuel Pump in the tank. 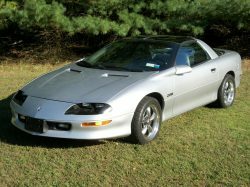 The Transmission is a 4L60e that has been rebuilt to take the power and it has a Yank SS 2800 Stall Speed Torque Converter. 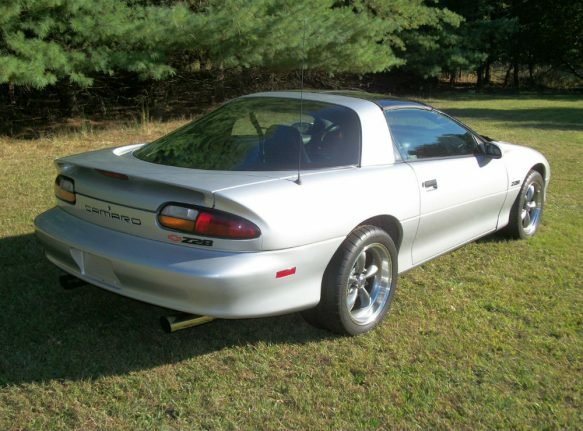 The Rear End had an Auburn Posi Unit put in it and 4:10 Gears, along with a JEG’s heavy-duty cast aluminum Rear Differential Cover. The oil was just changed in both the engine and the rear with not even 1 mile on them yet. There’s Mobil 1 oil in the engine and new Valvoline gear oil in the rear along with the GM Limited-Slip Additive. 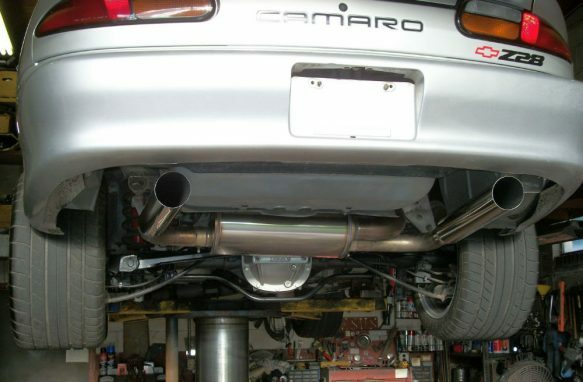 The Exhaust is a MagnaFlow Cat Back System, which is made up of 3″ polished stainless steel pipe. 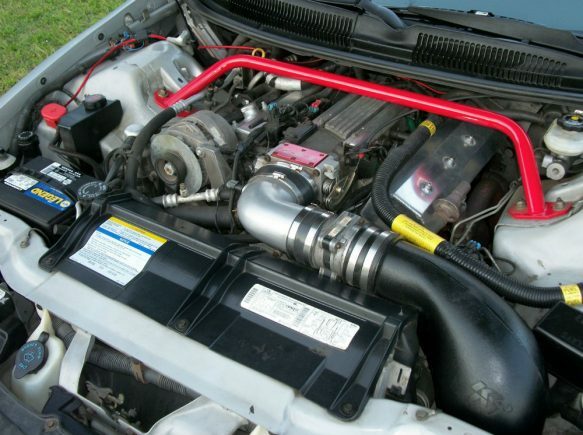 It has a pair of PaceSetter Long Tube Headers on it, 3″ Race Spun Cats, and a PaceSetter Y Pipe. 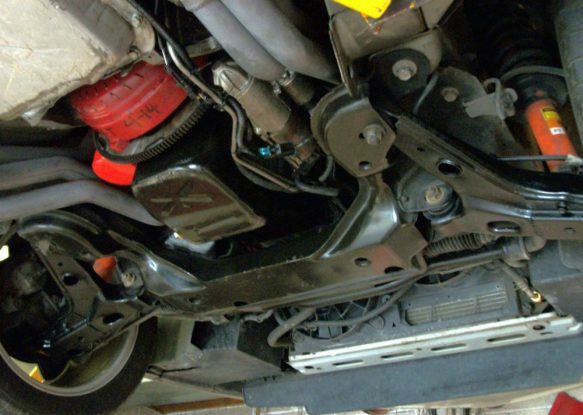 The Suspension had the Rear Springs replaced and adjustable KYB AGX Gas Shocks installed. New Motor Mounts, Transmission Mount, and Torque Arm Bushing made by Energy Suspension. BMR Front Upper Shock Tower Brace, and BMR Subframe Connectors (not installed, but they come with the car, along with the stock 2:73 Gears). Also all the brake rotors and pads were replaced, the car stops very well. 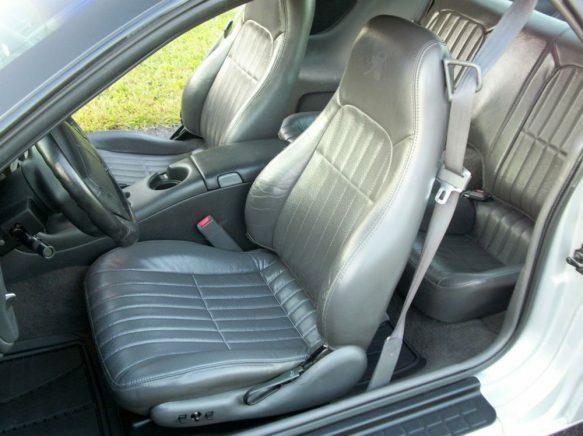 The Interior is in great shape…..it has Gray Leather Seats and there are no tears, holes or stains in them. Something that’s unique about only the 1997 seats is that all 3 of the top of the seat-backs have a 30th Anniversary Logo embossed on them. The carpet is very clean, it’s not stained or worn and it has new rubber floor mats. All of the lights and gauges work, the wipers work, the power windows and power locks work, the power seat works, the keyless entry works, the heat works, and even the Air Conditioning works very well. The sound system in the car has been upgraded and it sounds great. 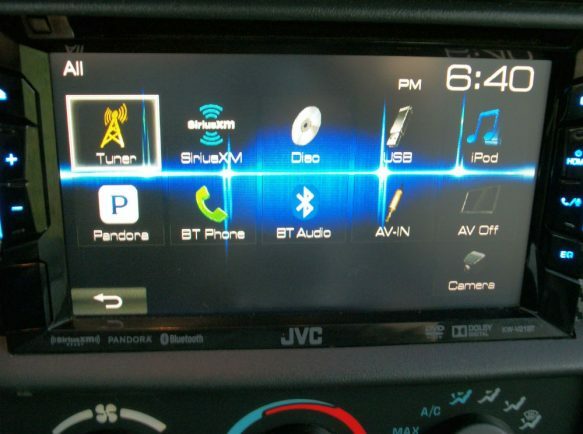 The head unit is a JVC Double DIN with a 6.2″ Touchscreen, it’s a DVD/CD Player…..and it’s compatible with Smartphones. It has built-in Bluetooth, USB Port, it’s Pandora & Sirius XM ready, and it even has an input in the back where you can install a Back-Up Camera. I believe that all 6 speakers were replaced but I didn’t verify that. There is a Kicker Comp 10″ Subwoofer in the back of the car, and hidden behind that is an old school Rockford Fosgate Punch 75 HD Amplifier. 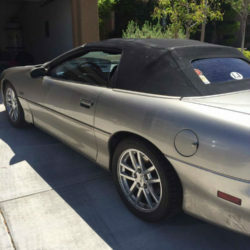 The paint and body are both very nice, there’s no rust or rot on the car. The paint shines well, the glass is all good…..none of the glass is cracked or anything. The T-Tops are in great shape, and so is all of the weather-stripping. The wheels and tires look fantastic on this car and they’re all like new. They’re American Racing Torq Thrust M Wheels…..they’re a Special Edition Wheel…..Anthracite with a machined aluminum lip. The Fronts are 17″ X 9″ and the Rears are 17″ X 10.5″. 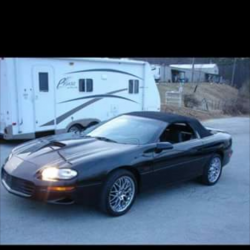 They’re wrapped with Mickey Thompson M/T Street Comp Tires…..the Fronts are 275/40/R17 and the Rears are 315/35/R17. I don’t think you could get a wider tire on this car, these tires have to be 12″ Wide. The wheels are held on by a McGard Black Chrome Lug Nut Kit with Wheel Locks. The car is sitting on over $1,500 worth of wheels and tires. I did add some pictures of the Underneath, so you can see that it’s clean under there with no rot as well. –Overall, it’s one hell of a car that can pretty much do it all. It starts right up and runs strong, it handles well, stops well, sounds brutal, and looks great. 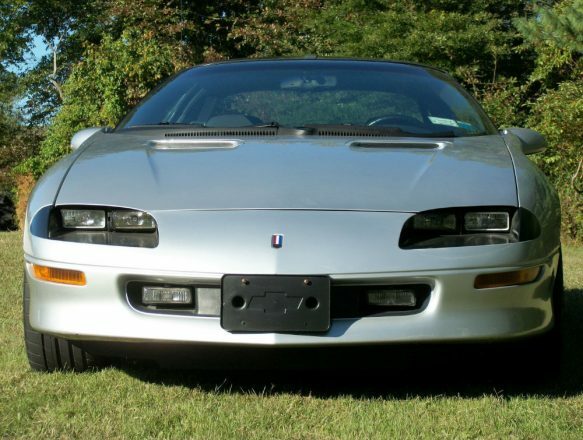 There’s lots of money invested into this Camaro, I’ve added up and made a list of over 12K in just upgraded parts…..half of that would be in the engine itself. 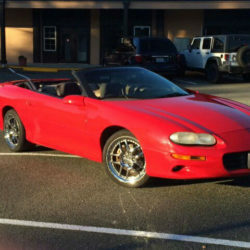 But when you factor in the value of the original car to start with, and the cost of all the labor to rebuild and install all of those parts…..you can see how quickly over 20K dollars got invested. It’s an extremely fun car to drive and it turns heads. It’s ready to be driven. 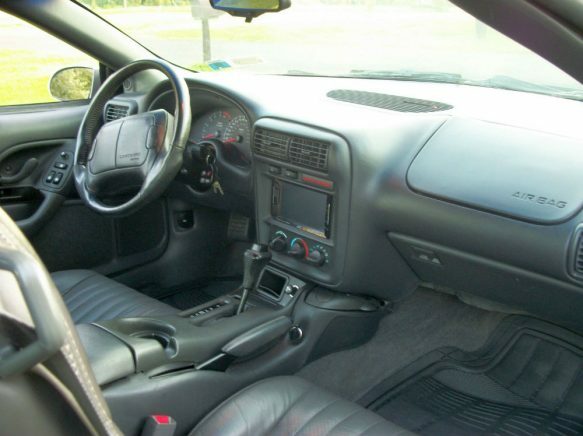 You could drive it normally with the radio and the A/C on and have no problem at all, but at the same time…..if you step down on it, hold on…..because she really wakes up in a hurry and will put you back into the seat. Call/Text 609-342-9197 or message me if you have any questions or want to check it out. Thanks.